It all started less that a year ago when a few local people decided to celebrate Roman Road’s heritage and Bow’s creativity. This wasn’t just a street party, this was a week long event that brought the festival into the shops and businesses as well as on the street. Our programme of evening events and workshops connected local talent and creativity with local shops and premises. More than 3000 people came to the Closing Sunday street party, and over 500 people attended the festival’s Evening Meets hosted by local businesses. Following the success of Roman Road’s Summer Festival 2014 – we are now planning a Winter Festival. Visitor feedback from nearly 500 people tells us they loved the ‘friendly’; ‘local’ and ‘community’ feel of the Summer Festival events, so we’re keeping it local for the Winter Festival too. You can help make that happen with your suggestions and ideas. Roman Road Festival is all about falling in love with your neighbourhood. It’s about discovering the talent on your doorstep; getting to know local shop owners; forging new spaces to meet friends; making our places more beautiful; creating new connections and opportunities; giving children the opportunity to flourish, and appreciating our elders and their stories. It’s about living in the city as if it were a village, like we used to. Roman Road has five amazing local primary schools in its vicinity – Chisenhale, Olga, Malmsbury, Bonner, Old Ford – and we would welcome children from the schools to help with decorations, or with performances. Wouldn’t it be great if the children made so many Christmas decorations that all the shops could hang some in their shop windows? 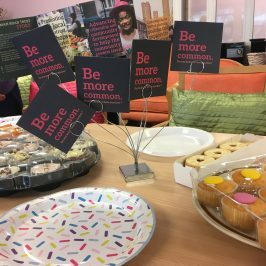 By hosting a workshop or evening event you can attract new customers, build links with local creatives, get to know other businesses on the road, and help develop an alternative income stream. During the last festival we uncovered some great local talent including illustrator Sara Pitta, origami expert Michael Trew, Asian film blogger Andrew Heskins, film maker Michael Smith, performance artists from Chisenhale Dance, letter writer Claire Metcalf, young stars of the stage from Anna Fiorentini drama school, as well as heaps of music talent. We also celebrated our established luminaries including playwright Simon Stevens, political activist Oona King, political commentator John Rentoul. 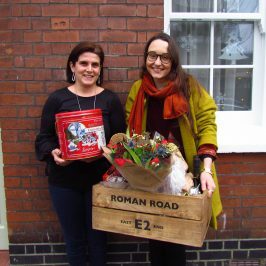 On Sunday 7th December, there will be a festive street market with street food, Christmas gift stalls, buskers and carol singers lining Roman Road Market with an emphasis on crafts, vintage items and lovely gifts for the festive season. Bring your talents to the table! 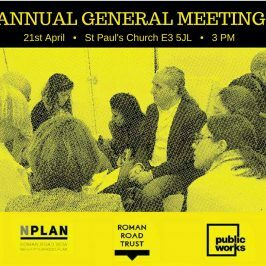 We want as many stalls as possible representing all the communities that use Roman Road. If you have a stall, please contact our market organisers Urban Makers East. We would also like to enlist the skills and support of other local organisations who would like to contribute to this important local event. 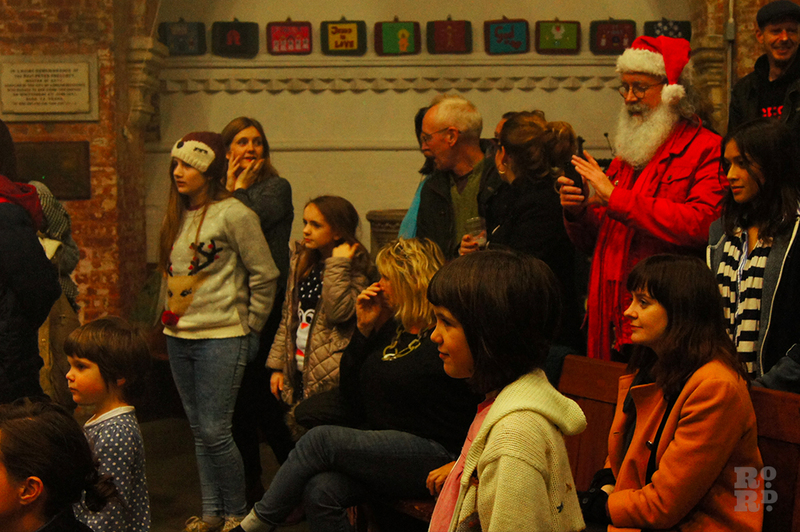 Perhaps you’d like to run a festive stall, or can provide talented people to help run workshops or perform. Maybe you can offer valuable manpower before or during the festival weekend. 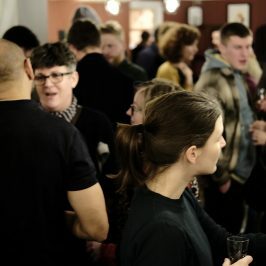 This is a chance for your organisation to connect with 1000s of local people in a lively, interactive way. Don’t miss out! At the Summer Festival, Chisenhale Art Place ran a very successful and entertaining stall on our Sunday market that attracted huge attention and provided Chisenhale with invaluable ideas from local people. It could be you this time. Do you have some time to help spread the word about the festival? 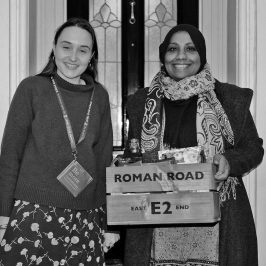 Become an ambassador for Roman Road Festival. 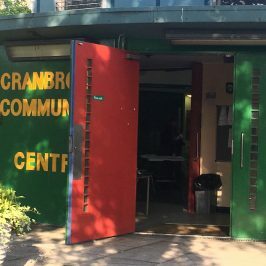 Help us by leafletting to bars, cafes, galleries, markets; communicating our ethos, reaching out to new communities, and collecting email addresses for our newsletter. To register your interest or if you’d like to be involved but you’re not sure please contact us as soon as possible.